While in Deadwood, South Dakota a few weeks ago we stayed at the Historic Franklin Hotel. 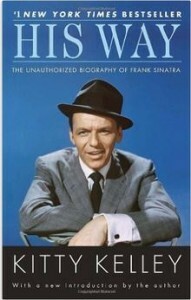 In our small suite was a bookshelf on which I found the “Unofficial Biography of Frank Sinatra” by Kitty Kelley. Frank sued Kitty to prevent this book from being published and held its publication up for years. After reading it, it’s no wonder he didn’t want it to hit the market. It exposed his abortionist mother, his criminal records and his mob connections that made him what he was. I don’t think I’ll ever hear one of his songs in the same way again. The bottom line is that Frank has a very seedy side which served him to advance himself in the entertainment industry. He did whatever it took to get what he wanted. In Jeremiah 5:26, the prophet explained that this was the case of many successful figures in Israel in his day. That verse says, “For wicked men are found among my people; they lurk like fowlers lying in wait. They set a trap; they catch men.” According to Bert Hall, as he explains the context of this verse, he writes that it is pointing to “…the specific wicked men, men who by deceit and cunning became rich and great.” I’m sure we can get anything we want in this world if we’re willing to do anything at all to get it. Ethics, morals, basic biblical standards of behavior are ignored as long as we can get what we want. If it will make me successful there’s no other measurement that matters. “Whatever works is right” is the motto of our national business effort to much too large of a degree. Bert Harold Hall, “The Book of Jeremiah,” in Isaiah-Malachi, vol. 3, The Wesleyan Bible Commentary (Grand Rapids, MI: William B. Eerdmans Publishing Company, 1969), 201. Bryan Chapell, Using Illustrations to Preach with Power, Rev. ed. (Wheaton, IL: Crossway Books, 2001), 149.